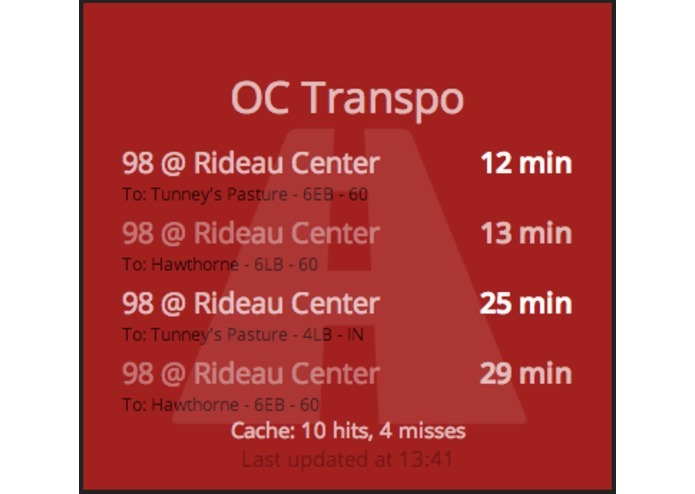 Show the next few busses from OC Transpo for a specific stop. Entries with schedule info from GPS are shown in a brighter color. Based on the octranpo_fetch gem, which was written for this widget.